Are you traveling to Catalonia? Check our guide on the best areas to stay in Barcelona, one of the most interesting and attractive cities in Europe. Barcelona is one of the most visited cities in the world, and there are districts and accommodations for all types of tourists and budgets. Depending on the expectations for your trip, Barcelona offers busy areas full of bars and restaurants, but it also has residential districts, ideal to experience the real Catalan life. Barcelona is a very interesting city that offers history, art, culture, architecture, the sea side and an unique gastronomic experience. You can find it all in a rather compact city, however you should set your priorities when visiting Barcelona. Some areas might be quite far from the most interesting sites and others can be just too dull. Still, it all depends on your objectives or the kind of vacation you’re looking to spend in Barcelona. Barcelona is one of the most beautiful cities in Europe in terms of architecture. Gaudi managed to transform Barcelona into an art city, full of unique reminders of its unique style spread through the city. Casa Batlló, Casa Milá, Parque Güell, and the Sagrada Familia are just some of Gaudi‘s masterpieces. These are located all around the city and are very accessible since the public transportation system is very efficient. For shopping and great food, you have the worldly renowned La Rambla street. Staying near to it can be very entertaining in the afternoons, you can take a walk any time, choose from a range of delicious food options, and do some shopping. And if you’re looking to spend a nice and relaxing summer, then you can enjoy of Barcelona’s beaches. Apart from its architecture, the beaches are one of the main attraction for locals and tourists. There are more than 10 beaches to choose from, but truth is, they are all equally beautiful. Now let’s analyze the best places to stay in Barcelona, according to the type of activities you want to enjoy the city. If you want the whole Catalan experience, then the center of the city is the best place for you. If you prefer spending time on the beach, Barceloneta is the location for you. For a more refined visit focused on cultural events, then the Gothic Quarter is the area to immerse yourself in art. Let’s analyze each one of these areas below. As temperatures start to rise in Europe, the sea starts to become more attractive. Barcelona’s beaches are some of the most preferred among European tourists. Staying in Barceloneta will only make those beaches even more accessible to you. Plus, many hotel rooms and apartments have an ocean view. Barceloneta is one of the most expensive areas in Barcelona for tourism and living. However, it is totally worth it. You can walk to the beach and the food in here is excellent. You’ll find the fanciest restaurants with exquisite dishes, and the best fish in Catalonia. Also, this is a very active and lively area with music day and night. The sun in Barcelona can be a bit harsh during summer, but you have nearby options to take a break from the each. The Maremagnum, a mall in next to the sea, is an excellent option in this area. You can spend the day shopping or eating while avoiding the sun for a few hours. The Gothic Quarter or Barri Gòtic in Catalan is not one of those super popular areas among tourists. However, this is one of the best areas to stay in Barcelona, especially if you’re looking for an artistic and cultural experience. The entire Gothic Quarter is a very quaint neighborhood since it merges the modern Catalan life with ancient buildings. The architecture is definitely the highlight of the Gothic Quarter. In the Gothic Quarter you will find very peaceful areas to enjoy a Catalan afternoon. You will also find a variety of small restaurants where to eat delicious local dishes. The Eixample District is divided into left and right by the Passeig de Gracia. Both are equally great areas, so it doesn’t make much of a difference whichever side you choose to stay. The right side can be a bit more attractive since it’s an older area and the architecture is more impressive. This is the most central area in Barcelona. It is a great area to stay if you’re looking for shopping and historic sites. When staying in here, you will be near to the Sagrada Familia (closer if you’re on the right side), Plaça Catalunya(Catalonia Square), La Pedrada, Casa Batlló, and so many other attractions. Also, Eixample District is a great area if you’re interested in shopping. The Passeig de Gracia is a long avenue in which you will find the top stores in Barcelona, combined with art galleries and two of Gaudi’s greatest works. Rodamón Barcelona Hostel – a high quality hostel in one of the best places to stay in Barcelona, close to the Passeig de Gràcia and to the Diagonal Metro Station. Azul B&B Barcelona – a great value for the money bed and breakfast in the Eixample district, in one of the best areas to stay in Barcelona. Hotel Palace GL – a luxurious hotel in an impressive building in the Eixample district of Barcelona, close to Las Ramblas. Barcelona is not exactly a cheapest city to travel in Europe, despite being in the affordable Spain. However, it is totally worth it considering all it has to offer. The overall cost of travel depends on your goals are and the activities you want to do. It is also truth that this city has a lot of options for different types of tourists. If you’re going to the beach every day, you have to consider a high budget, since the hotels and rental apartments in Barceloneta are pretty expensive. Plus, you have to consider food and renting a sunshade. If you are checking the Barcelona nightlife, the costs can mount quickly. 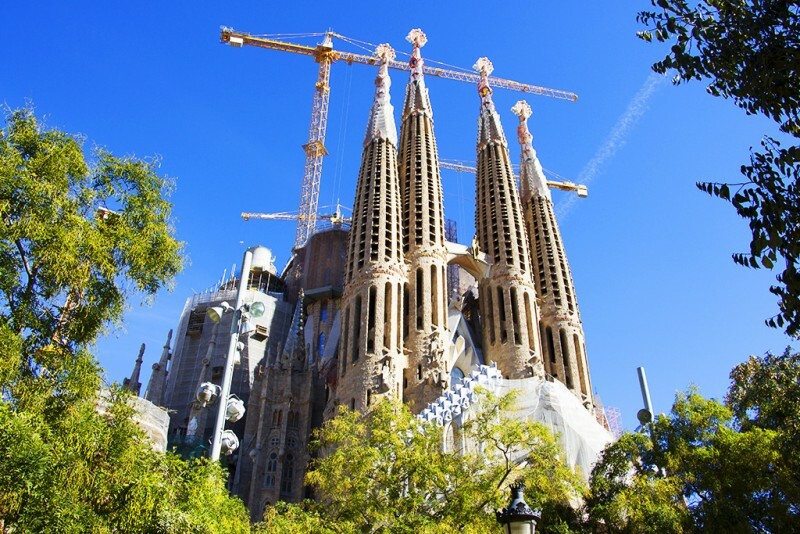 To visit Barcelona with a cheaper budget, you might consider other areas further awa from the beach, such as Gothic Quartier or Eixample District. The night in a decent hotel in here may cost around $80, depeding on the season, and hostels can be a lot cheaper. For food, you might spend about $30 per day per person. Transportation costs can be variable, and I recommend getting day tickets if you will use it often. As for attractions and museums, you don’t usually spend less than $20 a person. At the end, a day in Barcelona is can easily cost $120-150. The best season to visit Barcelona is summer if you’re looking forward to spend your most of the time during your vacations on the beach. August is the perfect month for it. It is also a great months if you want to enjoy the city’s nightlife. Barcelona is also very inviting in September, when the heat is less intense and you can walk by the city without excessive sweating or sunburns, but you can still enjoy the beach if you have a crave. 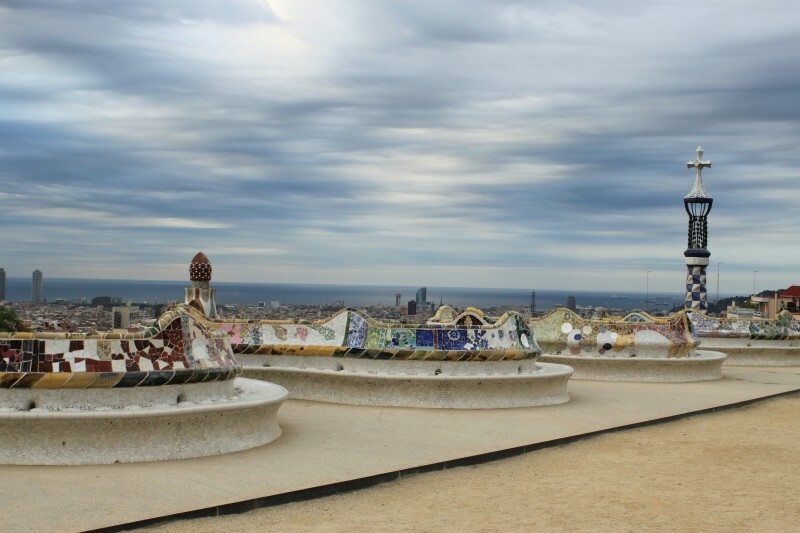 We can easily recommend August and September as the best months to enjoy Barcelona to the fullest. If you are travelling to Barcelona you might also want to check Andorra, a small enclave on the Pyrenees mountains. Check our guide on where to stay in Andorra here. Alternatively, you may want to check the best areas to stay in Madrid. For those considering relocating to Catalonia, check our page on the average salary in Barcelona.